Emirates SkyCargo, the freight division of Emirates, was presented with its Cargo iQ certification at the World Cargo Symposium in Dallas, Texas, USA. SGS, Cargo iQ’s nominated external audit company, audited Emirates SkyCargo’s internal processes including the measures taken by the carrier to minimize or eliminate shipment errors and provide customers with more visibility on the status of their shipments. 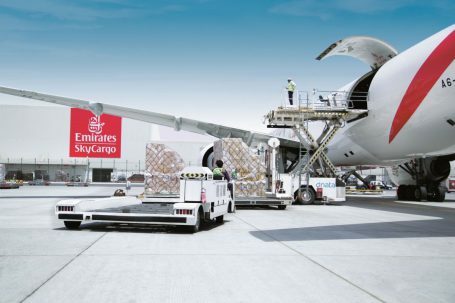 Emirates SkyCargo became a member of Cargo iQ in 2016 to further reinforce its service standards including its ‘Delivered as Promised’ commitment. In less than two years, Emirates SkyCargo has integrated Cargo iQ shipment cycle management standards as the basis for its live shipment planning and tracking of cargo. Emirates SkyCargo has invested in setting up and operating a dedicated Cargo Operations Control Centre (COCC) which monitors the status of shipments in real time. The COCC uses live shipment data and Cargo iQ metrics to track the progress of the shipment’s journey against its routemap and the delivery commitment created at the time of booking. Alerts are automatically generated when there is a deviation in milestones along the routemap, allowing the COCC to intervene proactively and in real time, and take corrective measures at any point from origin to destination. The COCC is operational 24/7, continuously monitoring shipments across Emirates SkyCargo’s global network of over 155 destinations. The Cargo iQ Routemap is integrated into the framework of the COCC, ensuring that the service promise and journey updates are exchanged between Emirates SkyCargo and the customer, improving transparency and allowing customers to effectively plan their logistics value chain. Unique to the air cargo industry, Cargo iQ brings together over 80 stakeholders from all aspects of the air cargo supply chain including airlines, forwarders, ground handling agents, technology providers, and airports to collaborate on developing and implementing service standards in the air cargo industry.